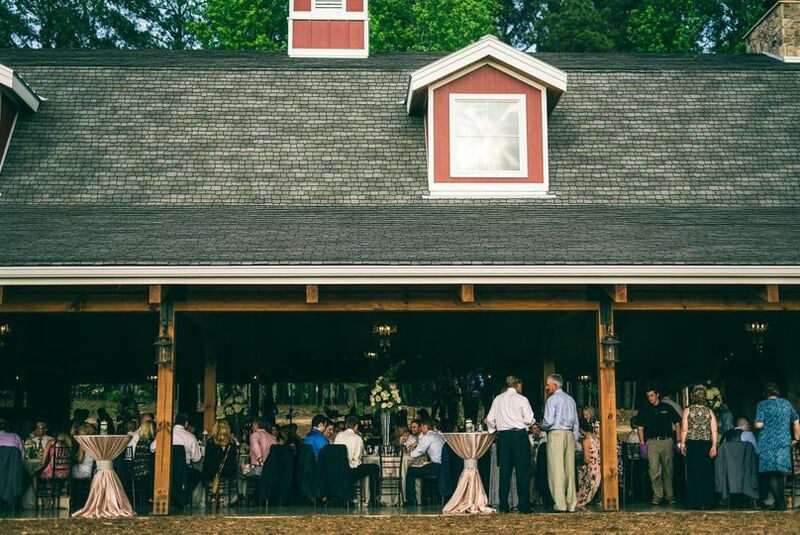 The Pavilion at Carriage Farm is an elegant wedding venue in Raleigh, North Carolina. Whether you dream of a small outdoor ceremony or an elegantly tented gala under the stars, you will find it all at this beautiful estate. Set your special occasion to spectacular scenery with contemporary comforts. It combines the rustic beauty of countryside living with modern convenience, setting the scene for an event everyone will remember. Let them help you make memories of a lifetime so book now. This 10,000 square foot space offers the perfect combination of country and elegance. 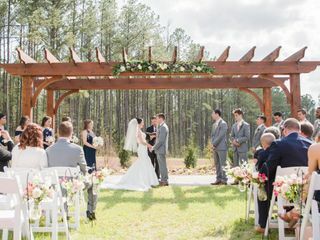 For your ceremony, you can use The Pavilion’s rear garden, which provides a picturesque setting by saying “I do” beneath the elegant pergola. You have the opportunity to get ready in their Bride’s Retreat, which is a 900 square foot loft that can accommodate you and your attendants. They also offer a Groom’s Room. 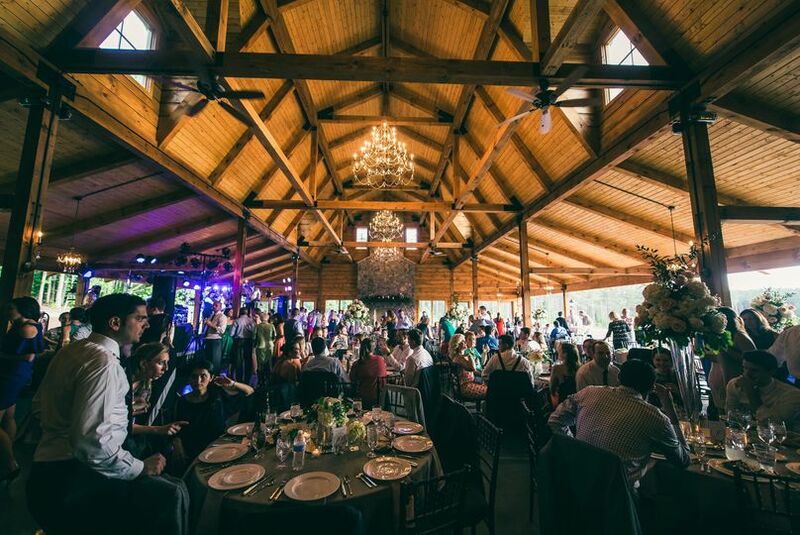 Guests can enter through large, wooden double doors to the open-air reception area called The Pavilion. They are greeted with the glow of four shining chandeliers. At the far end, there is a 34 foot wood-burning fireplace made of Tennessee field stone. It is topped with a wooden mantel--a beam from the 1800’s that has been reclaimed from the original home that once stood on the property. The red barn stretches to a 30 foot gambrel roof. This space is 60 by 75 feet and can accommodate 50 to 300 guests along with room for dancing. A breeze naturally floats throughout the space in summer and a glass enclosure is added for winter gatherings. Plus, they have a three foot overhang to provide protection when it rains. Behind The Pavilion, guests can mingle during cocktail hour on the patio, complete with a gas fire pit and wall for seating. This space is situated to one side of the 112 acre property and overlooks rolling pastures and a grove of North Carolina’s tall pine trees. 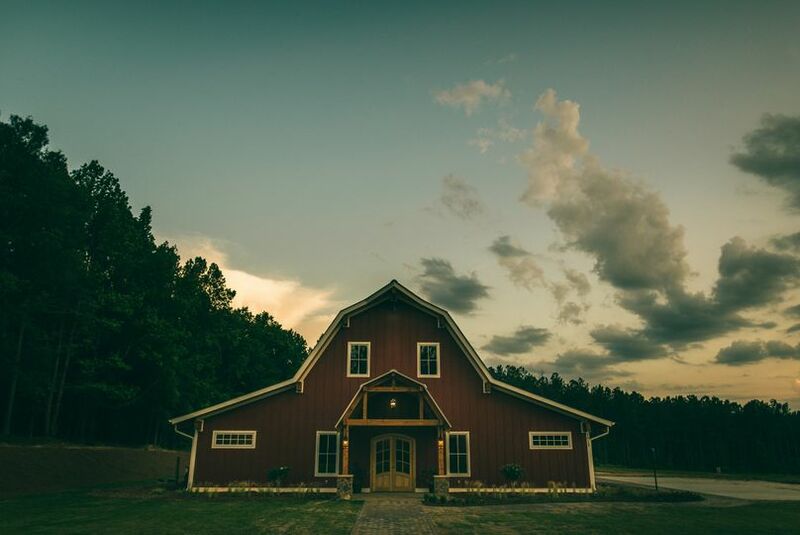 It provides a serene country backdrop on your wedding day. 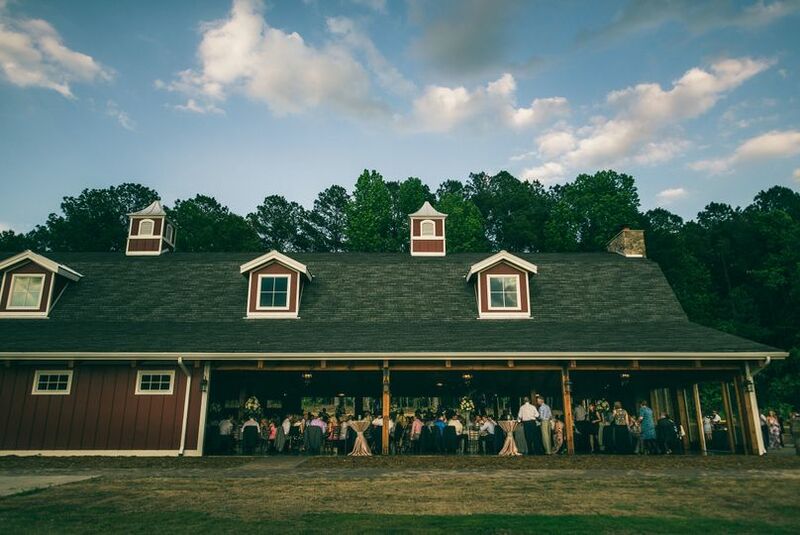 We are SO glad that we found Pavilion at Carriage Farm after an extensive venue search – it was the perfect setting for our August 2018 reception! 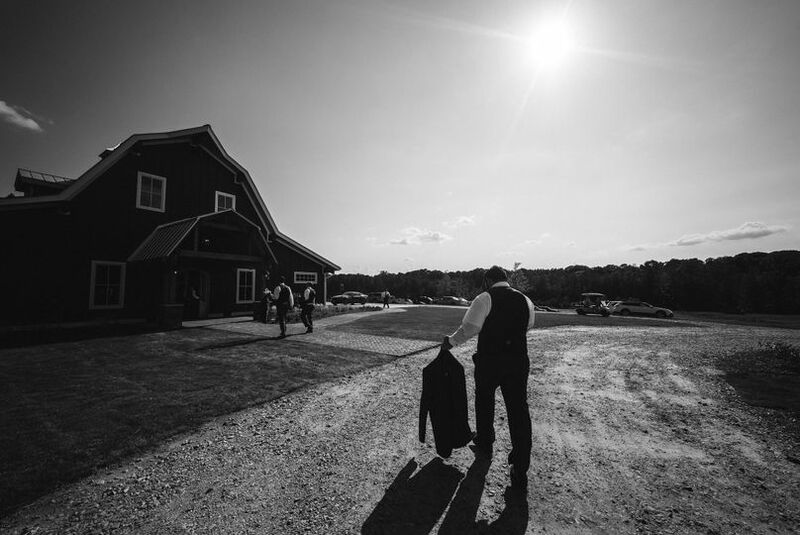 When we first toured, that was before it was enclosed with glass, air conditioned, and pre-bridal suite, and even then we thought it was perfect – since that time, Marti and her team worked incredibly hard to make it an even more impressive, sought after venue. 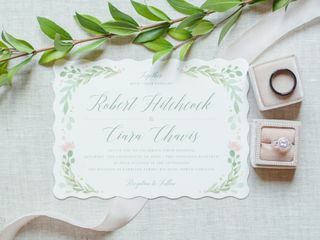 The details included in the venue are amazingly breathtaking (chandeliers, stone fireplace, spacious bridal suite, stone fire pit, chivari chairs) and the scenic views made for stunning photos – including sunset shots with horses on the property! 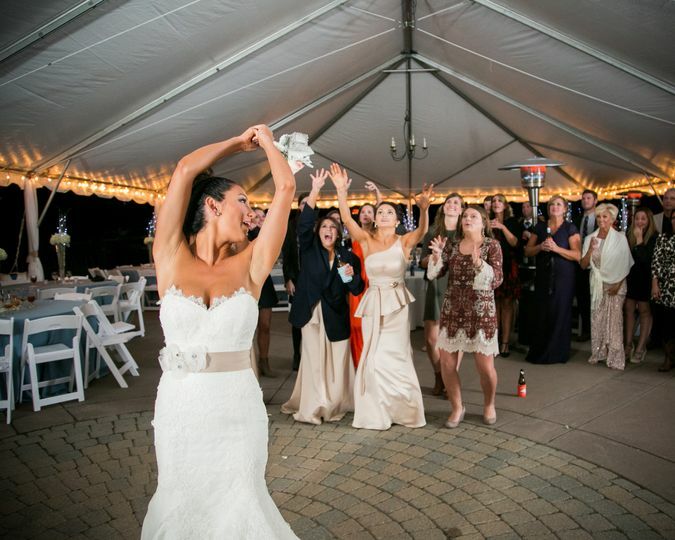 Bobbi was the ideal on-site venue representative on the day of, helping our day to run seamlessly. A huge perk of the venue is being able to bring your own alcohol – we went with Cook Shack (amazing!) for our catering and bartending services. We had 115 guests and there was plenty of room to move cocktail hour indoors when weather unfortunately did not permit for it to be held outdoors on the beautiful patio. 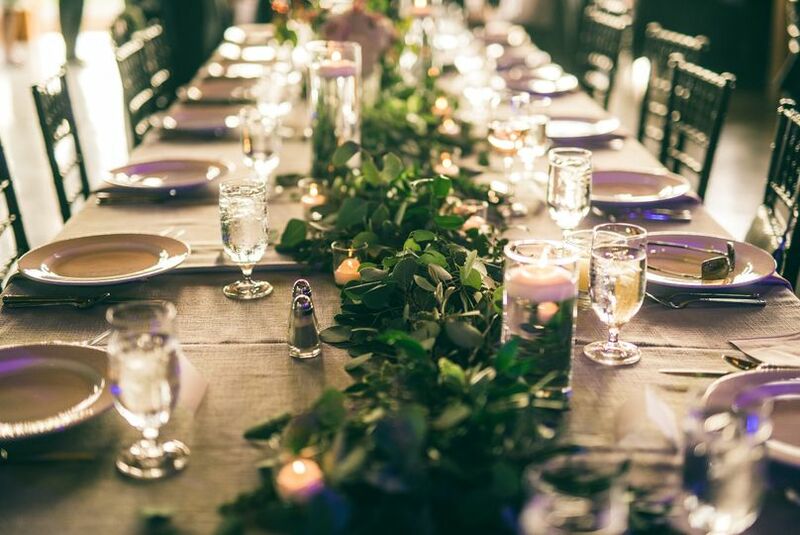 The venue is naturally gorgeous and doesn’t require a ton of decorating; tables and chairs are included and whiskey barrels are available for rental. 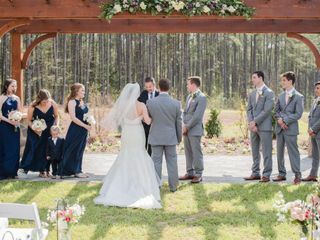 We wouldn’t change a thing about the Pavilion at Carriage Farm – thank you to Marti and team for being so accommodating and making our wedding day unforgettable! We could not have made a better venue decision! Jill, thank you so much for your kind words! 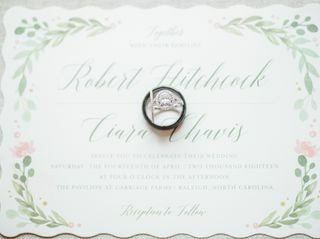 We are so thankful you and Philip chose our venue for your wedding day! 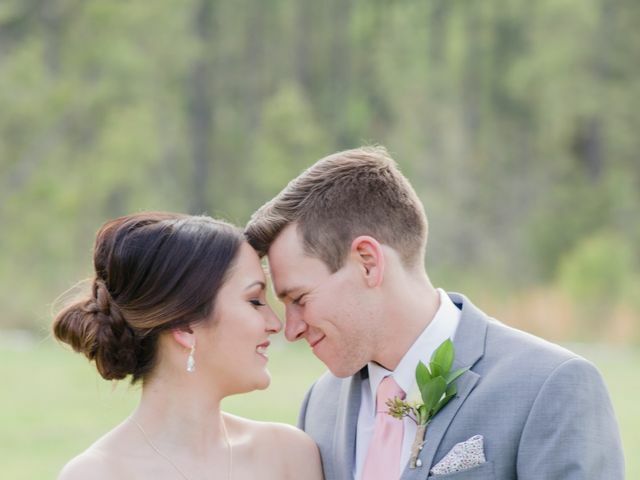 The brand new Pavilion was the perfect venue for my husband and I! We got married last weekend, had the ceremony outside, cocktail hour on patio, and continued with reception inside! 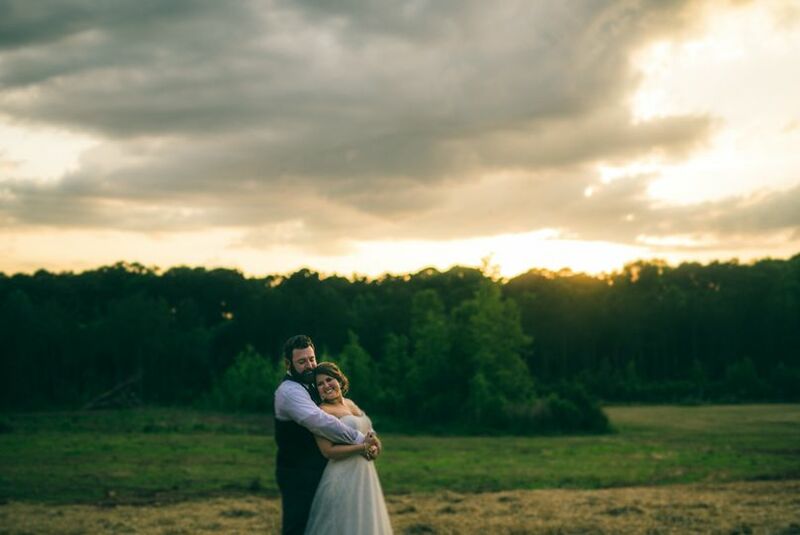 The weather was absolutely perfect and the most beautiful backdrop of trees to our whole night. The flow was effortless and created the perfect ambiance all night. It mixed my husbands rustic style with my desire for elegance with gorgeous chandeliers and beautiful lighting! Marti and the Leone family could not have been better hosts, helping every way they could! I heard endless compliments all night about how absolutely gorgeous the venue was! Hope to be a guest at this venue soon! 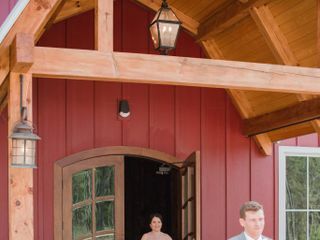 We wanted a unique venue that wasn't in a banquet hall or too outdoor country and the Pavilion at Carriage Farm was perfect! 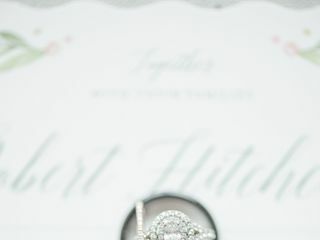 It's on a horse farm and just simple southern elegance. Our ceremony was behind the Manor or you can have it under the tree in front of the pond. We got married 5/28 so it was hot during the ceremony in the sun, but the Pavilion has fans and the lobby area is air conditioned. We booked this venue when the Pavilion was just a big patch of dirt, so it was exciting to watch them build it. They provide tables and chairs: 25-60" rounds, 2-48" rounds, 5-6' longs, 10 cocktails, 2 sets of 200 chairs. We only had to rent bar tables and brought our own alcohol (huge money saver). You have to choose from a list of caterers, and while we would have liked more options, we hired Rocky Top and they were delicious. They provide shuttle carts between sites, I think driven by their kids, which is really cute. You can also walk, but it's not easy in heels. The guys got ready in the Pavilion groom room, and my bridal party got ready in the Manor, which is stunning! The new bridal suite wasn't ready for our wedding (which we knew when we booked), but I bet it's gorgeous. The reception area is open on the sides, so it feels like you're outside. This is great for kids because they can run and have fun, and you'll get amazing photos at sunset. They have chandeliers, a huge stone fireplace, and a stone patio (perfect for cocktail hour), so you don't need to decorate much. Alex handled reservations and after we booked, all communication was with the owner. Marti is such a sweet lady and so helpful and flexible. We didn't use the venue for our rehearsal, so she gave us 2 extra hours for setup. We DIY'ed a ton of stuff, including linen, decor, flowers, instruments, etc., so those extra hours were life-saving! The owners really seem like sweet, caring people. 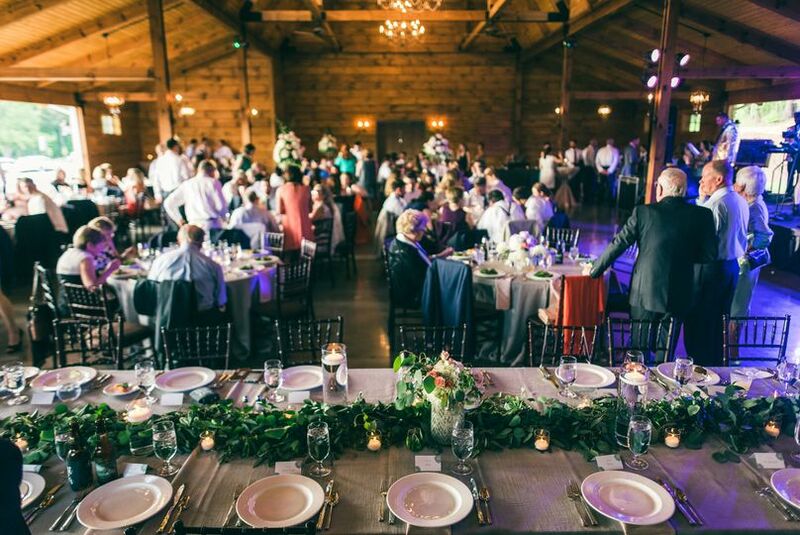 This venue is on their home property so a lot of care and attention is given to make sure the venue is beautiful.